Our Partnership comprises business and community members from across Loddon Campaspe who care passionately about the future of our region. David Richardson is Manager of Regional Partnerships for Deakin University in Bendigo, engaging with industry, local government and the community. He holds an MBA and is involved in a number of boards spanning business, water, the arts and higher education. David is passionate about economic development opportunities that help build resilient regional communities. Nigel McGuckian has extensive experience in management consulting throughout rural Australia. Nigel is on boards, including Dja Dja Wurrung Enterprises, Bendigo Orienteers, Otis Foundation and chairs advisory boards for large scale family farms. Nigel strives to achieve prosperity in rural communities. Dr Kate Burke runs Think Agri, which provides strategies for profitable and sustainable farm businesses and agricultural investments. As a country kid with a PhD, Kate is passionate about opportunities for regional youth and enjoys promoting agriculture as a career path and life in the regions. 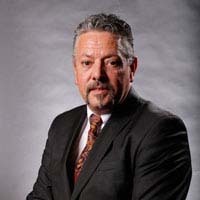 Rodney Carter is the Group Chief Executive Officer for Dja Dja Wurrung Clans Aboriginal Corporation and Dja Dja Wurrung Enterprises Pty Ltd. He has been a member of the Victorian Aboriginal Heritage Council since its inception. He is a local traditional owner with deep cultural connections to much of the region. Rodney is enthusiastic about expanding the tourism offering of our region to support skills and opportunities for our communities to participate. Robyn Lindsay is Executive Director (Acute Health) at Bendigo Health. She holds a Bachelor of Physiotherapy and Masters in Health Sciences. Robyn has also completed the Australian Institute of Company Directors course. Robyn has extensive experience in health service provision and planning and is actively involved in preparing for the opening of the new Bendigo Hospital. 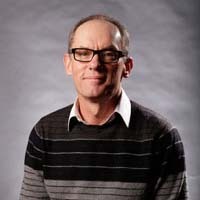 Prof Richard Speed is the Pro Vice Chancellor (Regional) at La Trobe University. Richard is committed to increasing higher education aspiration, participation and success in regional Victoria. He currently serves as a Director with the Bendigo Business Council. Linda Beilharz OAM is the current chair of the Loddon Mallee Regional Development Australia Committee. Linda has extensive regional experience in community development and health promotion through previous employment at St Luke’s and Women’s Health Loddon Mallee. Linda chairs several other groups and has interests in the outdoors and aviation. Jason Russell is currently the Chief Executive Officer at the Shire of Campaspe and has worked in local government for seven years, most recently as CEO at Gannawarra Shire Council. Jason spent four years working closely with 10 Victorian and NSW Councils along the Murray River as the Executive Officer for a federally funded regional development body. Prior to this Jason had more than 12 years in the funds management industry. Currently Jason is a Director of Murray Regional Tourism and a member of the Executive for Rural Councils Victoria. 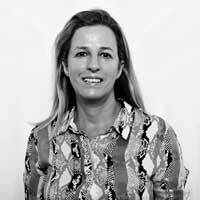 Lucy Roffey is an executive leader, with a mix of financial and corporate skills combined with public, private and community expertise, and demonstrated success in bringing strategy, leadership and transformation to organisations. She is a Fellow of the Chartered Accountants Australia and New Zealand and is a member of the Australian Institute of Company Directors. 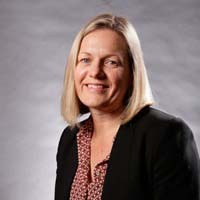 Prior to working in Local Government, Lucy was senior executive at the Australian Centre of the Moving Image, attracting a $20 million investment from the State Government in the redevelopment of the Centre and its programming to deliver high calibre exhibitions and experiences that were and continue to be valued by both the Victorian community and international tourists. Ms Stork was appointed CEO in November 2017. Ms Stork was awarded the prestigious NSW State Government Ministers’ Award for a Senior Woman in a rural/regional council in March 2017. She has a strong background in leadership, stakeholder management and manor project management at local and state government levels. Her qualifications include law, economics, accounting, business management, commercial law, project management and public relations. Darren was recently appointed as Chief Executive Officer of Mount Alexander Shire following five years as Director – Presentation and Assets at the City of Greater Bendigo and five years as Director – Operations at Loddon Shire Council. Darren’s qualifications include a Bachelor of Civil Engineering and prior to joining Local Government he spent 11 years in VicRoads working on large infrastructure projects and programs across regional Victoria and in Melbourne. Mr Niemann joined the City of Greater Bendigo in October 2005. He has more than 25 years of experience working in the local government sector including roles at the Borough of Eaglehawk and the Shire of East Loddon. Prior to joining the City of Greater Bendigo, Mr Niemann was Chief Executive Officer of the Loddon Shire from 1997 to 2005. Mr Niemann has also served on the board of the North Central Regional Goldfields Library for 10 years and board member of the Inglewood and District Health Service for more than 10 years. Phil Pinyon has had an extensive Local Government career, holding varied positions in Councils across Australia in five states/territories. Phil has served on a number of different boards and he is currently CEO of Loddon Shire Council. This broad experience, much of which has been in regional Australia, provides Phil with a unique perspective on matters relevant to his current role. Phil holds a Graduate Diploma in Public Sector Management and a MBA.